When it comes to the long overdue Deadpool movie, an X-Men spinoff Marvel Comics readers have been waiting for since Ryan Reynolds appeared as an early version of the character in 2009's X-Men Origins: Wolverine, Twentieth Century Fox is delivering on all fronts. Action and special effects master Tim Miller, who the studio attached to the project over four years ago, is finally getting the chance to make a movie from the highly praised Rhett Reese and Paul Wernick Deadpool script. And yes, Ryan Reynolds is back, mouth open, and suiting up in the actual Deadpool costume this time around... and he wants you to see it right now. And don't be fooled by claims that this is a CG rendering similar to the Deadpool test footage that leaked online last summer - footage that helped get the project a greenlight in the first place. 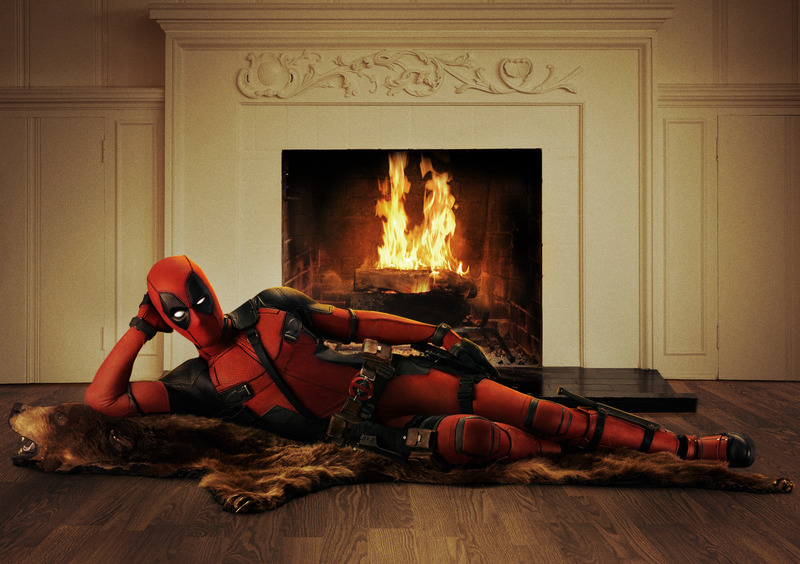 That is Ryan Reynolds in the costume, in the perfect pose. There’s been some online debate, but that *is* Ryan Reynolds in the actual costume. This movie, potentially more than any other in the X-franchise to date, is shaping up to be fiercely loyal to the comics and that couldn't be more evident than in the iconic costume above and in the fact the film will see the character breaking the fourth wall - a concept that makes Deadpool one of the most unique Marvel characters. Part of that is due to director Miller's loyalty to the Deadpool comics and part of it is because Fox is giving the team more creative freedom since they have a lower budget with this one. The film only exists thank to the demand of fans and so far, the cast has been embracing that fact on social media. Each of the stars, from Morena Baccarin (playing Copycat) and TJ Miller (playing Weasel) to the writers and Reynolds himself, have been sharing lots of tidbits and images from Vancouver, including today's major reveal.